California doesn’t enforce its own gift tax. However, the federal government does. That tax rate can climb to as high as 40%. Still, there are plenty of ways you can minimize the hit or avoid it all together. For the 2018 and 2019 tax years, you can give away up to $15,000 to any individual without triggering a gift tax. But even if you go over the limit, you may just need to file some extra paperwork come tax time. You won’t owe an actual tax until you exceed your lifetime gift and estate tax exemption. We’ll explain how that works, and how you can give without ever setting off a gift tax. But first, let’s define what a gift really is in the eyes of the IRS. We can also help you find a financial advisor to develop a personalized gift-tax strategy. What Counts as a Gift in California? As you can see, the definition can get a little vague. Suppose you made a loan to a friend with zero interest. If it was was large enough to buy a home, the IRS would consider it a taxable gift. It would also deem it a gift if you made that loan with an interest rate that falls below the IRS federal rates limits. Selling property below market value may also affect your gift tax limits. Suppose you sell someone a home valued at $300,000 for $100,000. The IRS sees you made a gift of $200,000. However, you may still avoid paying a gift tax if you go above the annual exclusion limit of $15,000. 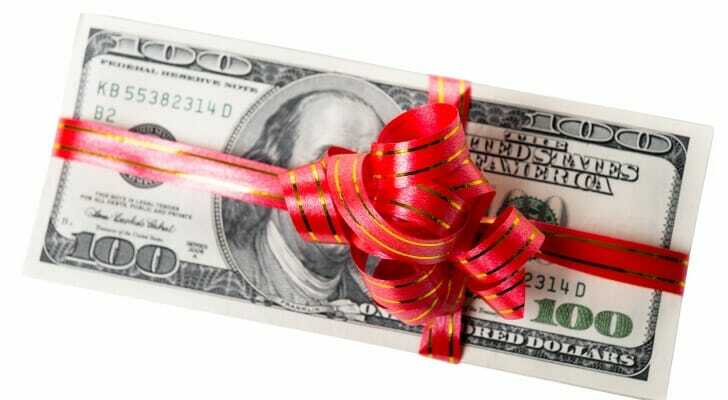 Every year, the IRS sets an annual gift tax exclusion. For 2018 and 2019, the annual gift tax exclusion sits at $15,000. This applies per individual. So you can give $15,000 in cash or property to your son, daughter and granddaughter each without worrying about a gift tax. If you and your spouse make a gift jointly, the exclusion is $30,000. But if you go over that limit for any individual or entity, you would need to report it on the IRS Form 709. Officially, it’s called the U.S. Gift (and Generation-Skipping Transfer) Tax Return. Remember, filling this out doesn’t necessarily mean you have to pay a tax on the gift. The government made this rule in order to keep track of how you use up your lifetime gift and estate tax exemption. Once your total lifetime gifts exceed that threshold, the IRS requires you to pay an actual gift tax. How Does the Lifetime Gift and Estate Tax Exemption Work? For tax year 2018, the Tax Cuts and Jobs Act raised the lifetime gift and estate tax exemption to $11.18 million for individuals (roughly twice as much for married couples). For tax year 2019, it climbs to $11.40 million per individual. This is how much you can give in your lifetime before Uncle Sam begins taking a cut. The IRS basically bundles up all the gifts you make into one. However, you’d owe a gift tax on the amount that exceeds your lifetime exemption. Depending on how large that is, the gift tax rate can stretch from 18% to 40%. It’s also important to note that the Trump Tax Plan made these rates possible and they’re set to expire Dec. 31, 2025. Unless Congress makes these thresholds permanent, the rate may revert back to pre-2017 levels at $5.49 million per individual. But the “lifetime” aspect of your gift tax limits can be a bit vague as well. If you leave behind a hefty estate to your heirs after you pass away, for example, you technically made a gift even after you die. That’s why it’s called the lifetime gift and estate tax exemption. If you leave behind a large amount of cash and/or property to your loved ones in your will, that may trigger an estate tax. How Does the California Estate Tax Work? Fortunately, there is no California estate tax. However, the federal government enforces its own. If the property you leave behind to your heirs exceeds your lifetime gift and estate tax exemption of $11.18 million in 2018 or $11.40 million in 2019, you’d owe a federal estate tax on the portion that exceeds those thresholds. The estate tax rate can climb to as high as 40%. But with help from a qualified financial advisor and attorney, a married couple can shield about twice as much from the federal government. In addition, there are ways you can steer clear of a potential estate-tax hit by taking some important steps. In a nutshell, the federal government levies an estate tax on very large estates. So if you’re worried about facing a potential hit, it may behoove you to reduce the size of the estate you leave behind. This may ensure your loved ones take full advantage of what you leave behind for them. One path you can take is establishing an irrevocable trust and naming your choice of beneficiaries. Assets in an irrevocable trust can be passed on to your beneficiaries after your death. But while you’re transferring money or property into the irrevocable trust, those assets technically leave your ownership. Thus, they effectively reduce the size of your taxable estate. Plus, you can build a trust with virtually anything of value. For example you can invest in mutual funds and other securities. This means the money can grow over time before it reaches your beneficiaries. This strategy may help prevent you from eating into your lifetime gift and estate tax exemption. 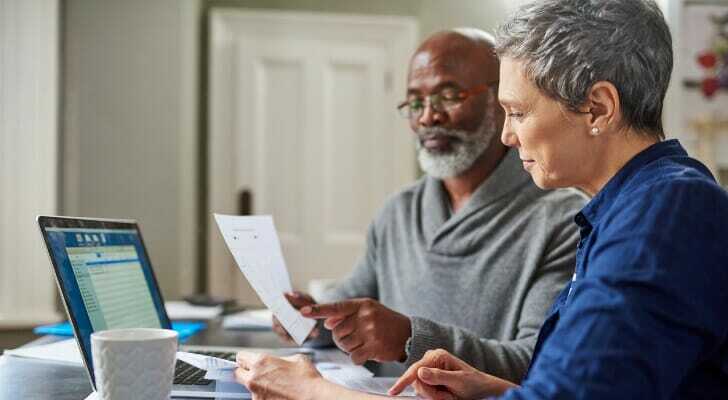 As long as what you transfer toward the trust each year doesn’t exceed the annual gift tax exclusion at the time, you can steer from reducing your lifetime exemption. When it comes to strategizing your estate planning and avoiding the gift tax in general, that’s your primary goal. Gifting in moderation each year without exceeding the annual exclusion helps you avoid breaching the lifetime exemption. But trusts and estate planning strategies can get extremely complicated. This is why the guidance of an experienced financial advisor and tax professional is crucial in these situations. Nonetheless, there are some instances where you can give as much as you want and it won’t count as a gift. Below, we cover some of the individuals and entities you can give as much as you want to without triggering a gift tax. This means these gifts won’t reduce your lifetime gift and estate tax exemption. Spouse: You can transfer any amount of cash and property to your spouse tax-free as long as he or she is a U.S. citizen. If your spouse is not, the IRS sets an annual limit to what you can give tax-free. For tax year 2018 (what you’d file for in 2019), that limit is $152,000. For tax year 2019, the figure moves to $155,000. Charity: If you donate toward a registered non-profit organization, the IRS may not treat it as a taxable gift. Check with a financial advisor or tax professional to see which organizations count for the exemption as this may vary across states. Medical Institution: If you cover someone else’s bill for qualified medical expenses, it may be a non-taxable event. However, you have to send the payment directly to the caregiver. If you’re planning on doing this, you should seek the guidance of a tax professional. Educational Institution: Suppose you want to cover your child’s tuition bill. As long as you send the payment directly to the school, you won’t cut into your gift-tax lifetime exclusion. But you may if you send it directly to the student. Also, keep in mind this applies to only tuition. Nonetheless, you can use a 529 college savings plan to save for other qualified educational expenses such as books. These savings vehicles also enjoy their own gift tax exemptions. 529 plans are savings vehicles that allow you to invest in your child’s future college education as soon as possible. These plans enjoy their own tax breaks including a special gift tax exemption. You can contribute up to $75,000 toward a 529 plan without eating into your lifetime gift and estate tax exemption. The only catch is that you can’t make any more contributions toward the plan with the same beneficiary for the next five years. Basically, the IRS lets you use five of your annual gift tax exclusions for one individual at once ($15,000 x 5 = $75,000). Otherwise, your contributions would be prorated. So if you contribute $30,000 in one year ($15,000 x 2), you can’t make any more contributions to the plan for the next two years instead of five. California doesn’t enforce a gift tax, but you may owe a federal one. However, you can give up to $15,000 in cash or property during the 2018 and 2019 tax years without triggering a gift tax return. If you gave more than $11.18 million in 2018 or give more than $11.40 million in 2019, you’d owe a gift tax. The rate can climb to 40% on the portion that exceeds that limit. But there are plenty of steps you can take to avoid gift and estate taxes. 529 plans enjoy a special gift tax exemption, but you can save even more by checking out our study on how to give money to students and avoid gift tax. Because gift and estate tax rules can get complex, having the guidance of a financial advisor is crucial. We can help you find the right one with our financial advisor matching tool. It provides you with information on up to three advisors in your area. You can compare their qualifications and credentials before deciding to work with one. The post California Gift Tax: All You Need to Know appeared first on SmartAsset Blog.